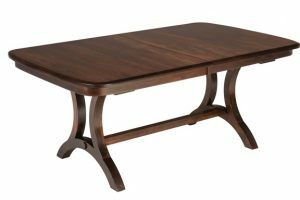 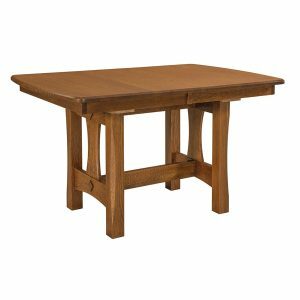 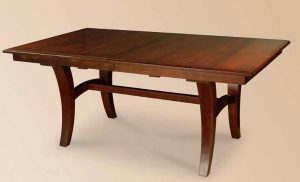 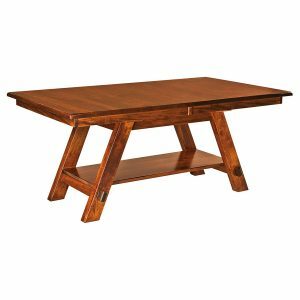 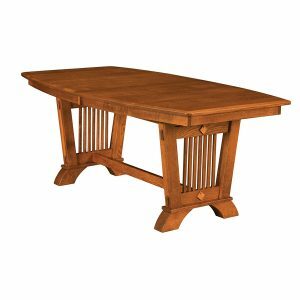 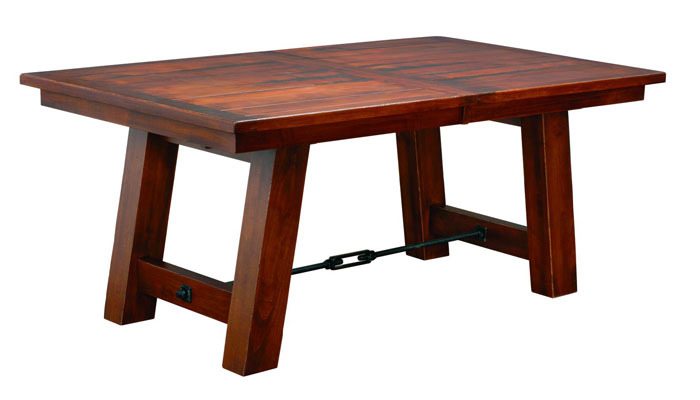 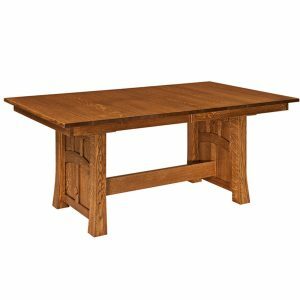 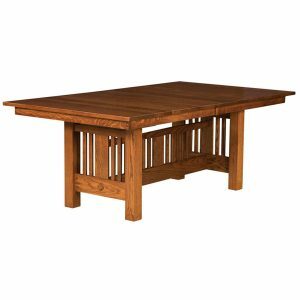 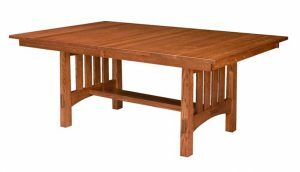 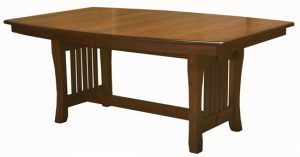 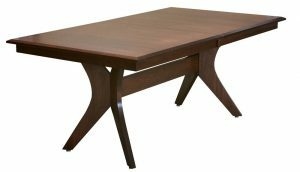 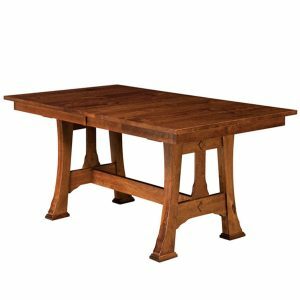 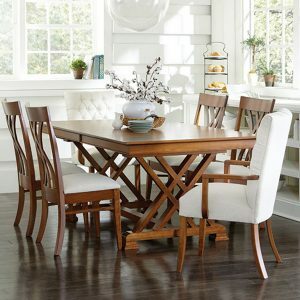 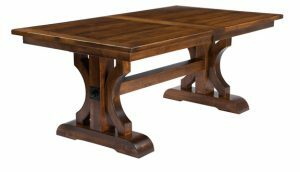 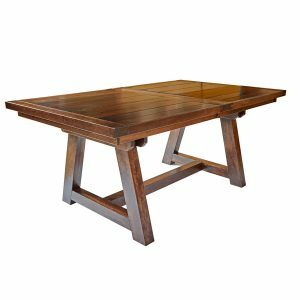 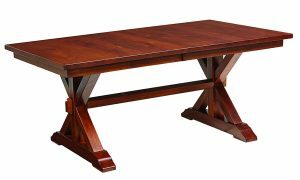 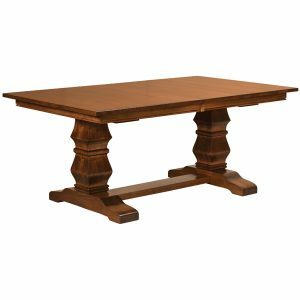 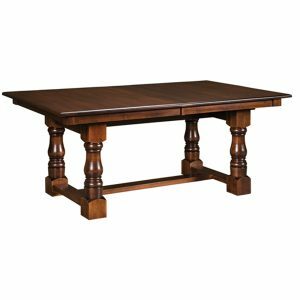 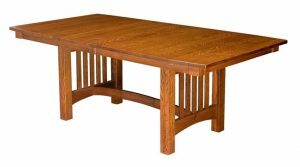 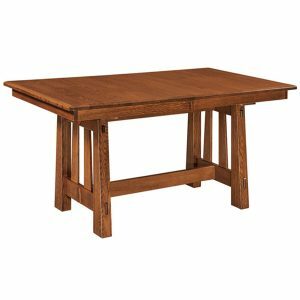 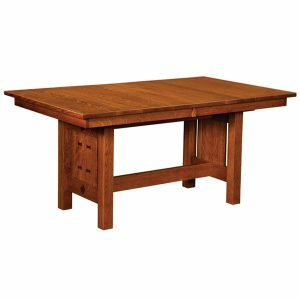 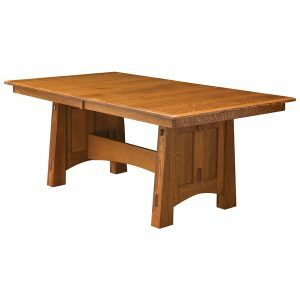 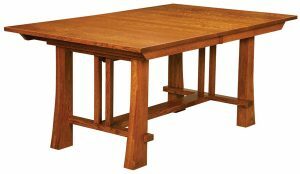 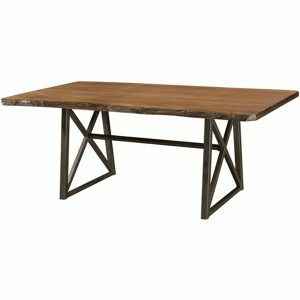 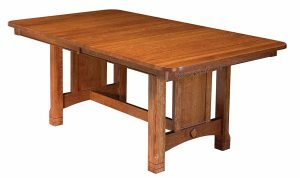 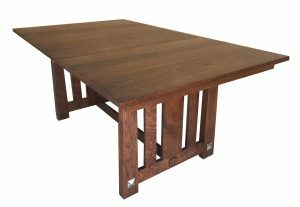 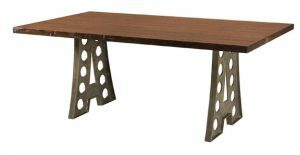 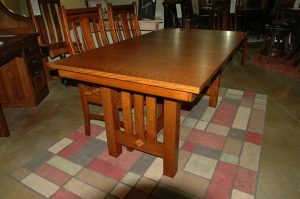 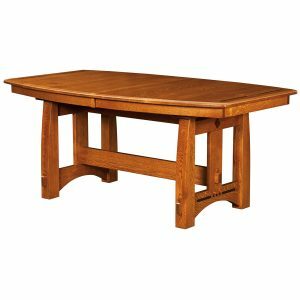 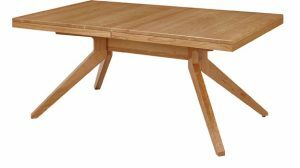 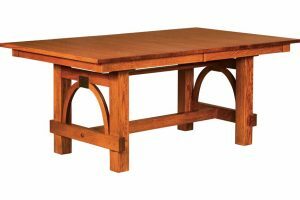 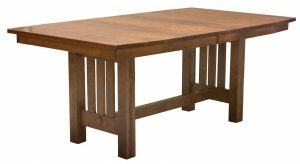 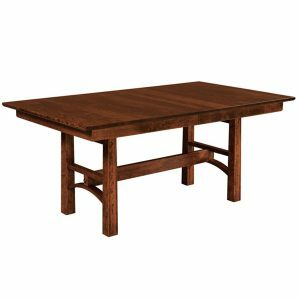 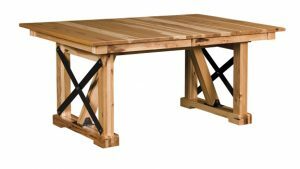 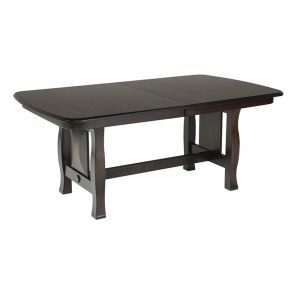 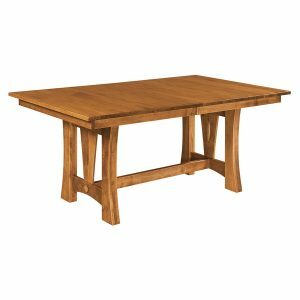 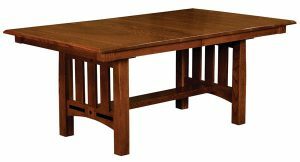 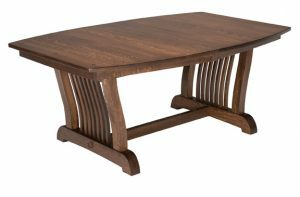 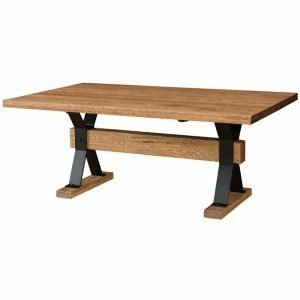 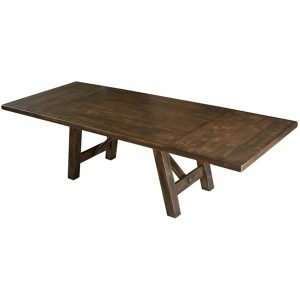 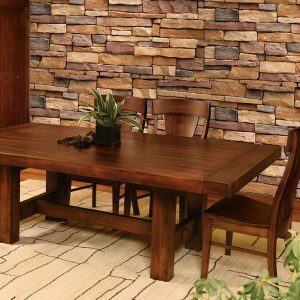 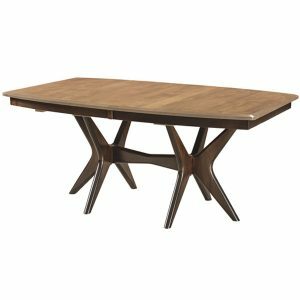 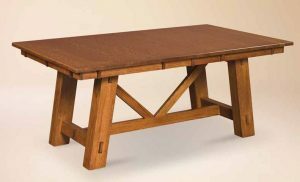 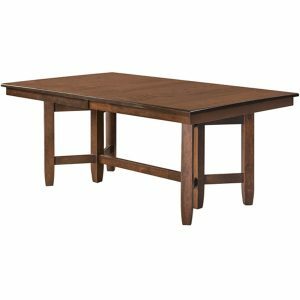 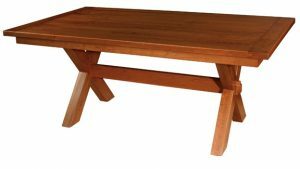 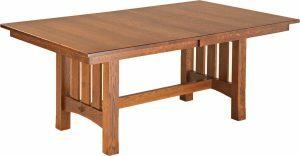 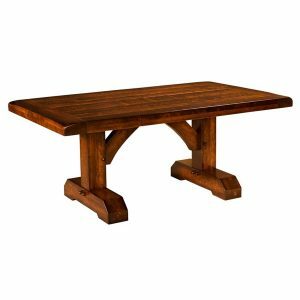 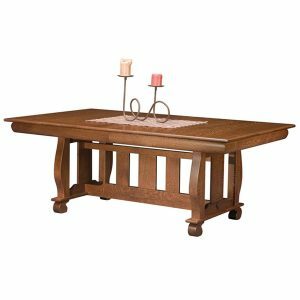 Our Trestle Tables are American made furniture crafted from solid hardwood. 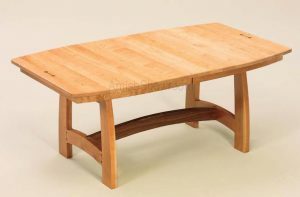 Most come with self store leaves. 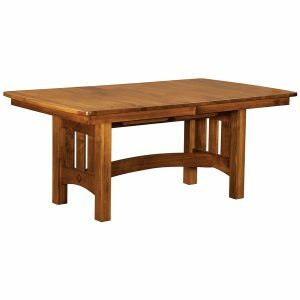 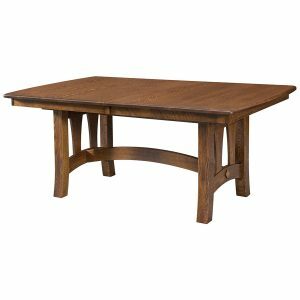 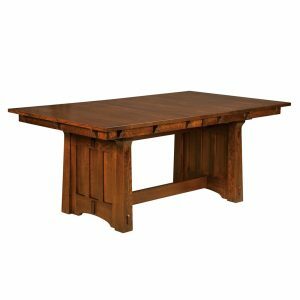 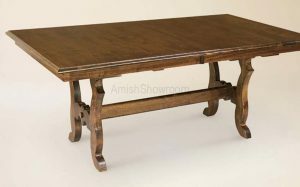 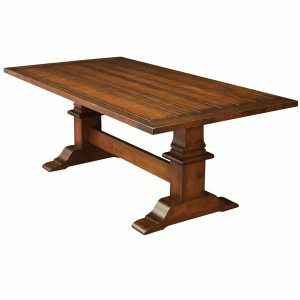 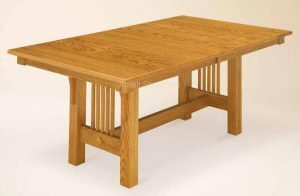 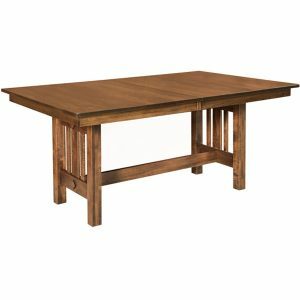 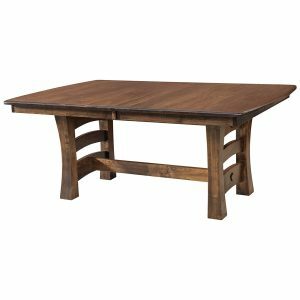 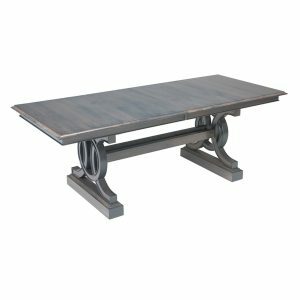 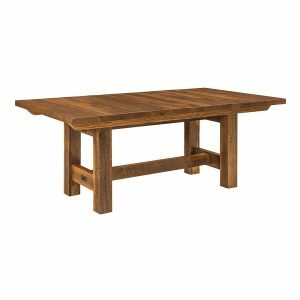 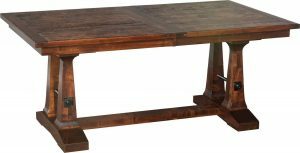 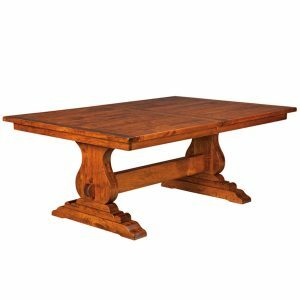 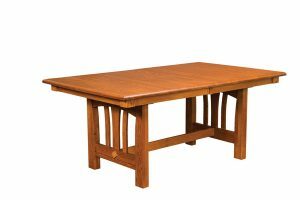 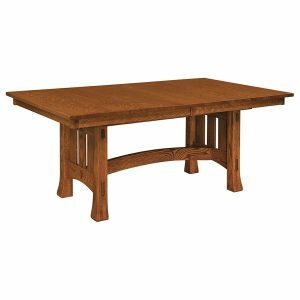 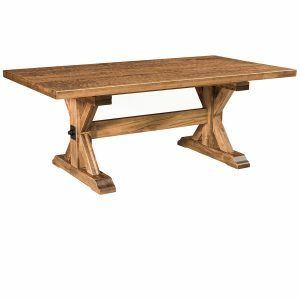 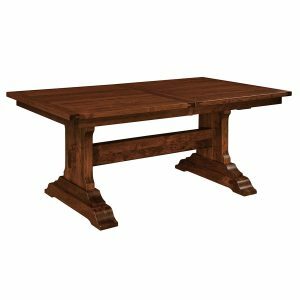 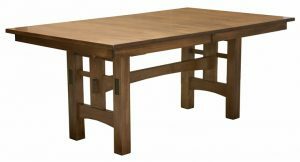 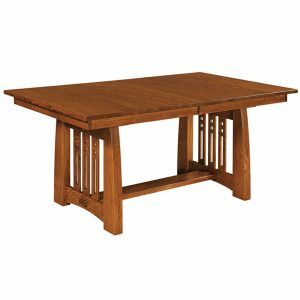 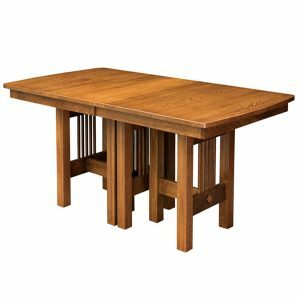 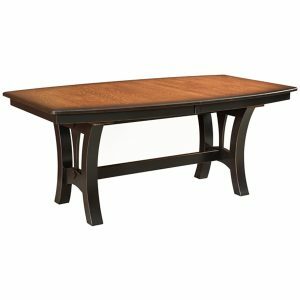 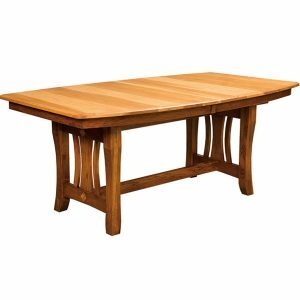 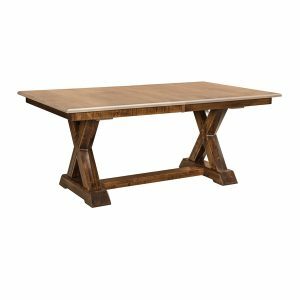 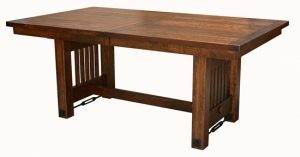 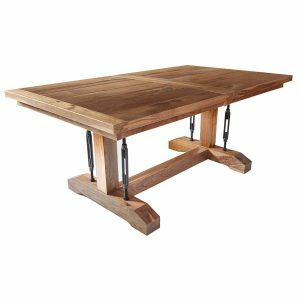 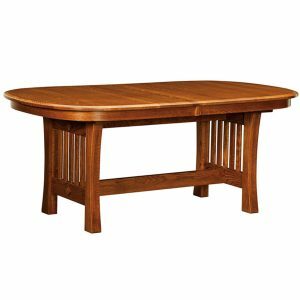 All of our trestle dining tables are built from solid hardwoods and connected with time tested mortise and tennon jointery. 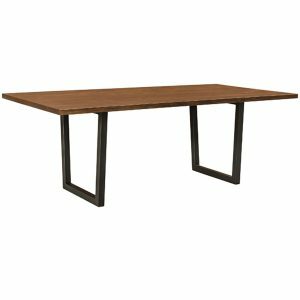 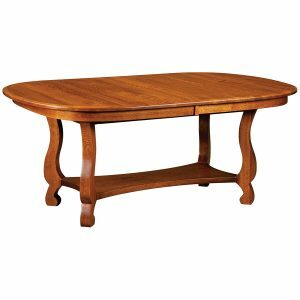 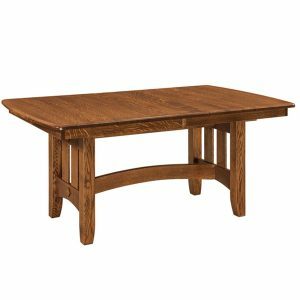 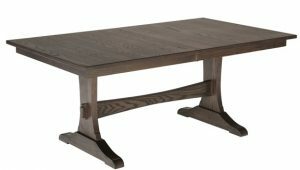 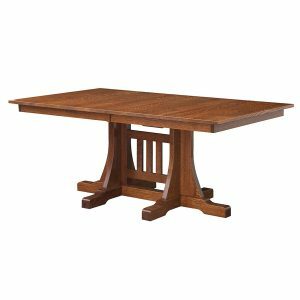 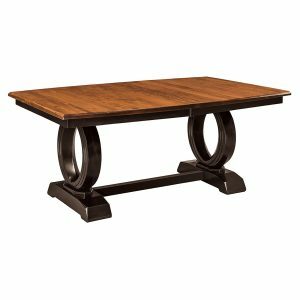 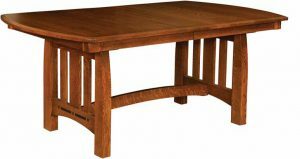 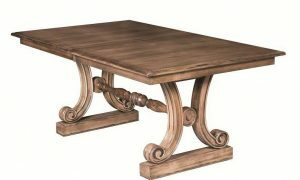 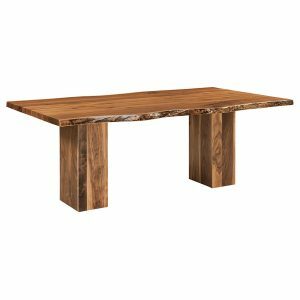 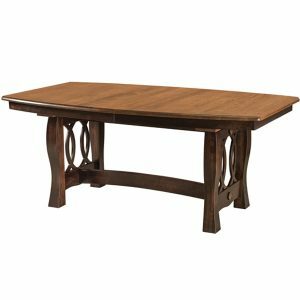 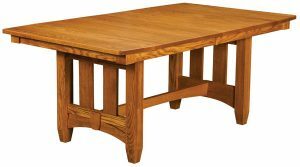 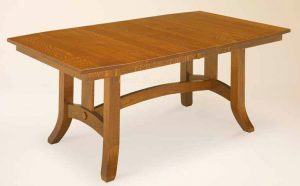 A trestle table base is often shaped like the letter “H”. 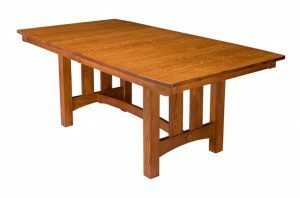 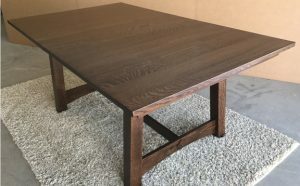 The two end pieces often have a “cover plate” to hide the connecting bolts holding the center trestle table stretches in position. 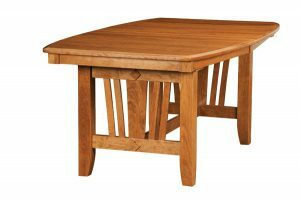 The stretchers hold the table leaves inside while stored. 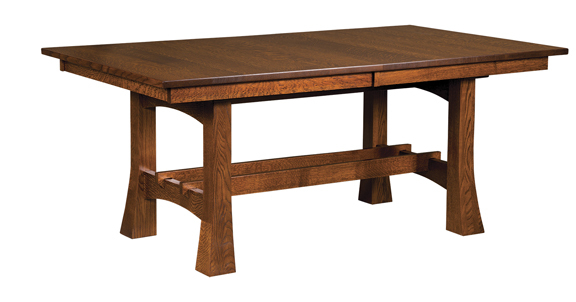 Please view the trestle table leaf storage video on our youtube page. 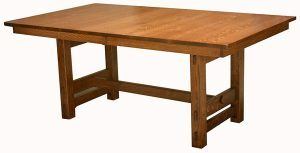 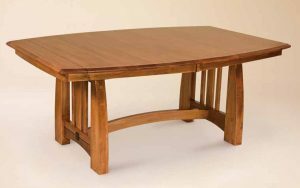 Most of our dining tables can be built to many different sizes. 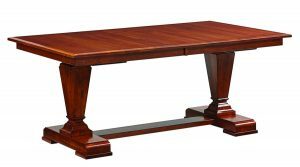 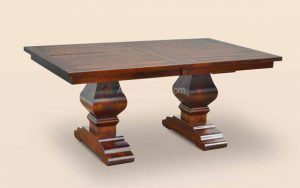 We also special build narrow trestle dining tables for clients with narrow rooms. 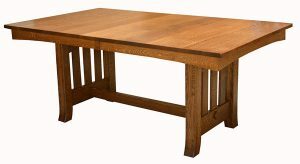 These tables can self store leaves and will last many generations. 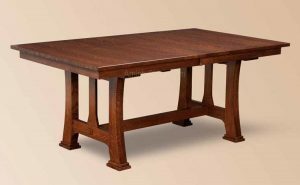 If your not sure what wood to build your table please visit our education links. 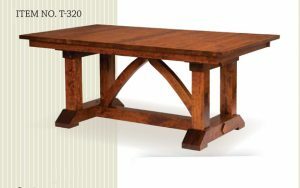 We can help you choose the correct hardwood and stain.